On October 6th, the VTA unilaterally proposed to the Silicon Valley Rapid Transit Program Working Committee the elimination of the 28th Street BART station and inclusion of an “Alum Rock” station at E. Santa Clara St (near 23rd St). This new location is not located in the Alum Rock community, does not have accessible parking, and is located in a neighborhood of single-family homes. Update on 2/28/15: Our advocacy of a BART station at Alum Rock/28th Street continues. We succeeded in achieving a turnout of approximately 110 people for the VTA Community Meeting on the “Scoping” process on February 19, 2015. All of our local elected officials were represented there as well. In short, our message is being heard. The Alum Rock/28th Street station is firmly back in the plans now and the mysterious 23rd Street station has evaporated. Thanks for your support in achieving this progress. Of course this doesn’t guarantee a station at Alum Rock/28th Street — we still face a year of study, a funding deficit of nearly $3 billion, a likely 2016 ballot measure and a VTA Board vote. So we cannot disengage! Please use the form below to send an email to the following parties to request that the VTA Board save the Alum Rock BART station: Valley Transportation Authority, City of San Jose’s Mayor & City Council Members, San Jose City Manager, and the Santa Clara County Board of Supervisors. The petition will include the wording listed below the form. You will receive a confirmation email and updates regarding this issue. Optional: Please list any personal comments you'd like included as the 2nd paragraph of the email. I petition the VTA Board to save the Alum Rock BART station by including and supporting the 28th Street location in the Silicon Valley Rapid Transit Program planning. Our community deserves to have this major transportation hub located within our community as promised. The 28th Street location for the Alum Rock BART Station has been a part of the BART extension to San Jose – Phase 2 Planning for years. Since 2001, the Alum Rock community has worked with the Valley Transportation Authority (VTA) on concepts for the Alum Rock BART Station. The “Urban Village” concept embraces the BART Station as an important facet of the community and will have a positive economic impact on the neighborhoods surrounding the proposed station. 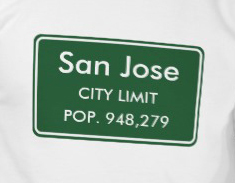 The Urban Village designs were presented to the San Jose City Council in November 2013 and were unanimously adopted and included in the City’s General Plan. The plan has also received the support of the Envision 2040 Task Force. The 28th Street location for the Alum Rock BART Station has a Park-n-Ride lot conveniently located immediately adjacent to an interchange on Highway 101 and would serve commuters from south county who work north of San Jose in areas with BART access. Commuters using the Alum Rock section of Bus Rapid Transit (BRT) that is presently under construction would be able to transfer to BART at this location, providing addition public transit access to the community. In addition, the Urban Village plan would provide 4,050 jobs and 845 housing units to the residents of East San Jose. However, now the 28th Street location for the Alum Rock BART Station is fast becoming another broken promise from the VTA to the residents of East San Jose. On October 6th, the VTA unilaterally proposed to the Silicon Valley Rapid Transit Program Working Committee the elimination of the 28th Street BART station and inclusion of an “Alum Rock” station at E. Santa Clara St (near 23rd St). This new location is not located in the Alum Rock community, does not have accessible parking, and is located in a neighborhood of single-family homes. This new proposed plan virtually eliminates direct BART access to the residents of East San Jose. Once again, East San Jose residents were promised trains, but this time will get NOTHING. I therefore petition the VTA Board to provide direct access to public transit services and improvements in East San Jose, I petition the VTA to include and support the 28th Street location for the Alum Rock BART station in the Silicon Valley Rapid Transit Program planning. This community deserves to have this major transportation hub located within the community as promised.